bam: We Care For Your Instrument. 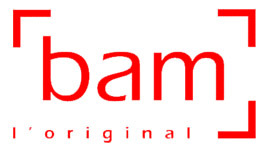 Hand made in France, bam aims to provide the very best quality instrument cases. bam leaves nothing to chance when it comes to safety and security of your instrument. Top-level quality is the result of a unique combination of hand-crafted precision and the use of technical procedures that have been honed over many years.